Hazan reveals a city whose squares echo with the riots, rebellions and revolutions of the nineteenth and twentieth centuries. Combining the raconteur’s ear for a story with a historian’s command of the facts, he introduces an incomparable cast of characters: the literati, the philosophers and the artists—Balzac, Baudelaire, Blanqui, Flaubert, Hugo, Maney, and Proust, of course; but also Doisneau, Nerval and Rousseau. It is a Paris dyed a deep red in its convictions. It is haunted and vitalized by the history of the barricades, which Hazan retells in rich detail. The Invention of Paris opens a window on the forgotten byways of the capital’s vibrant and bloody past, revealing the city in striking new colors. 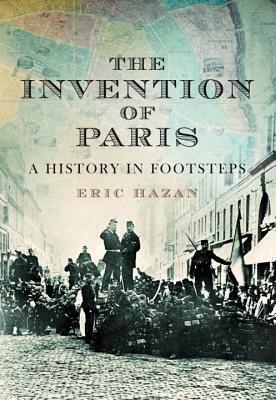 Eric Hazan is the founder of the publisher La Fabrique and the author of several books, including "Notes on the Occupation" and the highly acclaimed "The Invention of Paris." He has lived in Paris, France, all his life.